Cory Kennedy's used socks are for sale on eBay, and they ain't cheap! I'm not the world's biggest Gwen Stefani fan, but I'm loving this cover of V magazine. I did six photo shoots today. I'm tired. WeSC group art show Saturday from 6:30 to 8:30 at Robert Berman Gallery in Santa Monica. 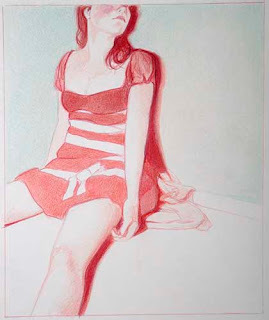 Featuring some of my favorite artists, Mercedes Helnwein, Alex Prager, and Sage Vaughn. Sponsored by NYLON. The show will be up from March 1st through the 15th. I mean... is this even legal? I'm so glad she won! 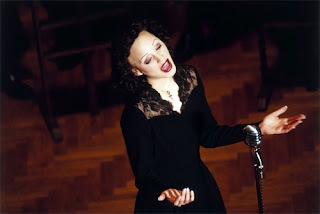 She was so amazing in La Vie En Rose! If you haven't seen the movie, do so ASAP. 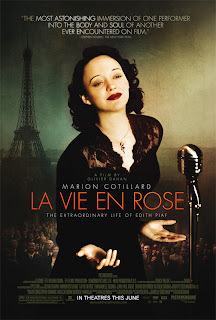 It is one of my favorites of the year, and it also won for achievement in Make Up. Please pardon my absence. 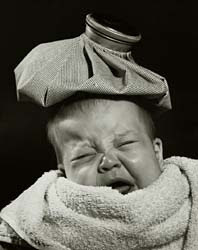 I've been sidelined by the flu that seems to have attacked half of Los Angeles. 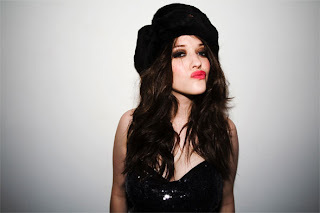 I just came across these really cute out takes from the shoot I did with Kat Dennings for Interview magazine. 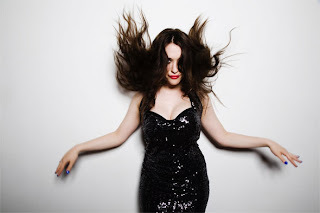 She has a really cute movie coming out on February 22nd called Charlie Bartlett. Everybody should go see it! I guess I'm not the only one obsessed with grey nail varnish anymore! Nylon is calling it the first big nail shade of '08. In other news, M.A.C. launched their Fafi collection today, and I got to see it up close and personal at the pro store on Robertson. They also made a really cute website for the Fafi collection at www.macfafi.com, and if you want to know more about Fafi, go to www.fafi.net. She's been one of my favorite grafitti artists for awhile and the fact that she's teamed up with M.A.C. is mind blowingly AWESOME! Hopefully things will be back to normal very soon! A couple of weeks ago I posted this blog about a cool shoot I had been working on with Day 19. 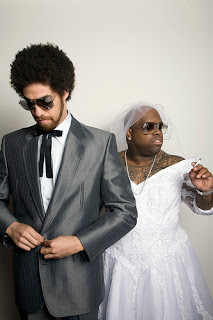 Well, now I am free to tell you that I was working on the press shots for the new Gnarls Barkley cd. The guys have just released the first picture from the series on their flickr account. There are tons and tons more where that came from (including some more creative stuff on the make up front). I will be sure to keep you updated. 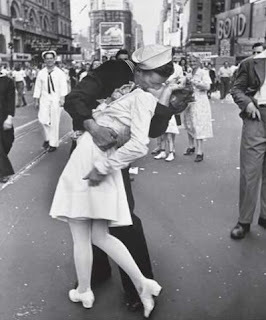 You're going to see these pictures EVERYWHERE! The other day I went to my friends Claire and Jeremy's house to be a part of their Polaroid Project. Day19’s Portrait Project is an epic and ever-growing collection of 4x5 Polaroids capturing young faces in an old-fashioned way. The subjects, a cross-section of artists, writers, performers and activists, were photographed using a large format camera, which requires the subjects freeze their expressions for around 20 seconds per image. In the era of digital point-and-shoots and phone cameras, the Portrait Project takes a comparatively slow, almost lumbering approach, one that forces the subject to re-engage. There is no hair or makeup, and no special lighting, and the result is a collection of raw, unpretentious portraits reminiscent of Depression-era Farm Security Administration photography. Each subject had their picture taken twice - once by Jeremy Weiss and once by Claire Weiss. There are no re-shoots, no second chances, no re-touchings. Those photographed include artist Mel Kadel, actor Leo Fitzpatrick, musician Slash, and two-year-old baby Aya Mei Mourning Duncan. And dozens more - music producer Boom Bip, artist Sage Vaughan, actor Jack Black and Jennifer Clavin, singer with punk band Mika Miko. As word spreads, the project keeps growing – latest subjects are actress Daryl Hannah, rapper Mike Jones, filmmaker David Lynch and Reece, a forest ranger. 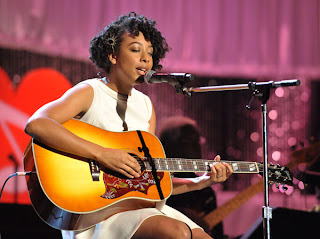 I had a great day yesterday preparing Corinne Bailey Rae for the Grammys. I think her make up looked awesome, and the whole look was amazing! Check out that dress!!! We went for something a bit edgier than usual and people are taking notice. 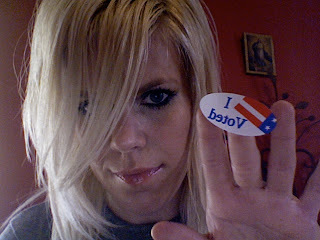 Go to Bella Sugar to vote on whether you love it or hate it! P.S. How amazing was KanYe's performance? I cried like a little baby. Can't wait for his Glow In The Dark tour! I am just a blogging machine today, but there's just so much to blog about! Awhile back I did make up (and some hair!) on a video for The Icarus Line. It was directed by Dan Monick and features my buds Annie Hardy, Dora Hiller, and The Lady Tigra (among others). It turned out so amazing! Check it out! Another reason why Takashi Murakami rules. I was totally amped to hear about Cory Kennedy's collaboration with Ksubi on a t-shirt! I mean... I love me some Cory Kennedy just as much as the next guy, but dude! $109?! Srsly? 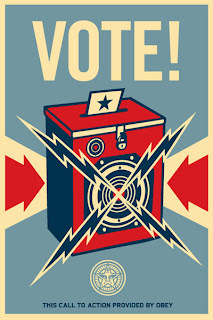 For a t-shirt? It's a limited run of 250, so I guess it is an investment? Go here if you love Cory Kennedy and are totally rich. It's Grammy weekend and the fun has already begun! Yesterday I was with Corinne Bailey Rae, getting her ready for the Music Cares event held at the Los Angeles convention center. Corinne is nominated for the song of the year Grammy. The funny thing is, she didn't even know she was eligible this year, so the nomination came as a complete shock! Last year she was nominated for three Grammys and also performed on the show with John Mayer and John Legend. I was so lucky to get to go with her and watch the performance live. Check it out! John Mayer had us cracking up at rehearsals. He asked me if I could make him look like Johnny Depp! It was brought to my attention that this was posted on the blog of Make Up Designory. Aw! So cool to be mentioned (obsessed on???)! 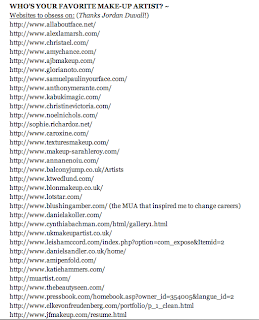 I know a few of these artists, but haven't checked out all of the sites. I'm sure it would make for some inspirational web surfing for all of you make up artists/beauty fanatics! Wrong side of the camera! Can't wait to tell you why. My favorite little make up store The Beauty Closet is hosting an amazing event this Saturday, Feb. 9. If you buy a set of Billy B brushes (they're sooo amazing! ), Billy B will give you a make up consultation and do your make up! This is an amazing opportunity, especially for young make up artists! 818.508.1818 - Call to reserve your brush set. I idolize Billy B! His work is a huge inspiration to me, and one of the reasons I became a make up artist. Getting a chance to sit in front of him and pick his brain is a once in a life time kind of thing, so don't miss out!!! 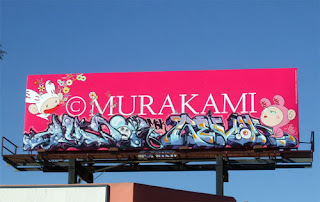 Just a friendly reminder that this is the last week of the Murakami exhibit at the MOCA. If you're in LA, you should really try to make it over there before it's gone. The Flower Matango room in this video was so colorful that I actually felt a little dizzy and couldn't spend much time in there, but The Jellyfish Eyes room in the second part of the video is my favorite! You can check out a lot more of the exhibit on MOCA's YouTube Channel. Yesterday I received a beautiful package from Dior. 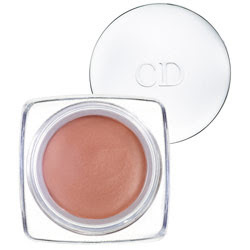 I haven't even begun to try all the products, but so far the Pro-Cheeks blush is completely knocking me out! It's a creme blush, and the texture is really unique. It's kind of spongy, so I wasn't sure if I would like it, but I totally love it. I have it in Hip Peach, which is a really beautiful color. It seems to last longer than any of the other creme blushes I use. I'm highly highly recommending! Today was fun. I got to put really cool make up on my friend Mercedes Helnwein for a cool portrait series I'm involved with. Mercedes is an amazing artist. You should totally check her out. This is my favorite drawing of hers. 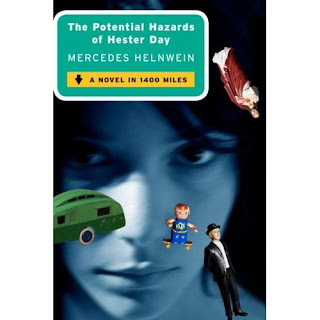 She also has a book coming out called The Potential Hazards of Hester Day. AND she just art directed this video for a band called Love Lies Sleeping, and it is based on her art work. After that, I painted up Brendan Fowler to look like a dog... More on that later. After that, Annie and I went to see our friend Eugene's band, Autolux play a sold out show at the El Rey. Ice Cube would say Today Was A Good Day. I am really happy with the way Natasha Alam's body make up looks in the Maxim photo. I used Scott Barnes Body Bling on her. Which reminds me... Burbank Costco currently has Body Bling for $16 (as compared to $48 on the Scott Barnes website)! Hook it up!